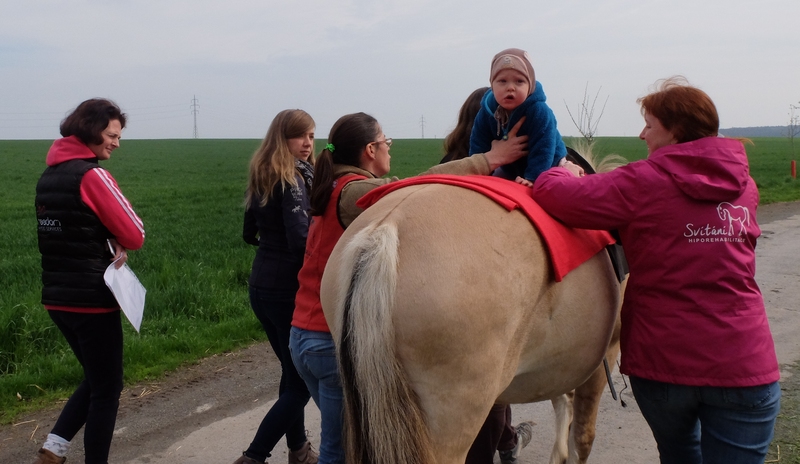 In the Czech Republic, physical and occupational therapists have been applying hippotherapy for children starting with age from 3 months old as a part of comprehensive rehabilitation care. Therapists skills are based on their great knowledge of psycho-motor development and utilizing of plasticity of central nervous system in early age with focus on diminishing development of any future movement disorders. Around the world, this hippotherapy approach is not common. Therefore we decided to share our vast experience in this field with our colleagues abroad. These courses open an opportunity to incorporate hippotherapy as a treatment strategy in paediatric rehabilitation for children starting from 3 months of age. For this purpose two comprehensive advanced courses has been tailored as the result of more then 15 years experience in hippotherapy practice. Both courses are aiming for physical and occupational therapists, speech language pathologists and physicians to apply hippotherapy treatment in early childhood. The courses are conducted in English and taking place in the Czech Republic. Small child with slow psycho-motor development or disability should receive physiotherapy treatment as early as possible. The main reason is to take advantage of the plasticity of the central nervous system and to train physiological movement patterns. Hippotherapy is a physiotherapy method working on neurophysiological basis so therapists can utilize treatment with horse since the early age of the child. Success of hippotherapy treatment depends on the expertise and involvement of the therapist as well as a properly trained horse. This course is for therapists who love to work with babies, take advantage of the plasticity of the central nervous system and appreciate the possibility to significantly and positively affect their development. Babies enrolled in hippotherapy are usually at risk of development any neurological or orthopaedic disorder. They are mostly premature or having genetic diagnoses. Performance of hippotherapy with babies puts great demands on the therapist´s knowledge and skills.